I’ve been having ridiculous problems with the color profiles on my Samsung SyncMaster 225BW. 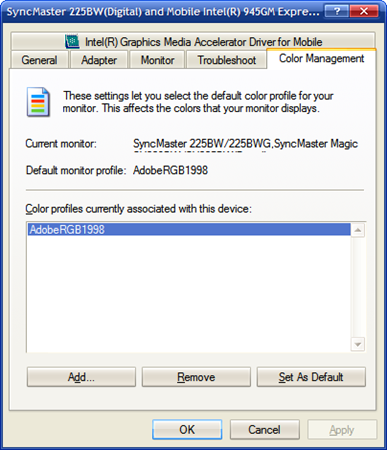 I’m pretty sure that it’s not Samsung’s fault, since the monitor is by far the best I’ve ever had, but any color-profile aware application ends up looking like crap (see screenshot above, or this blog post). To ensure that the profile is enabled, right click on the desktop, choose “Properties”, click the “Settings” tab, then the “Advanced…” button. Once in the Advanced Properties, click the “Color Management” tab. Click “Set as Default”, OK, then OK again to close the window. 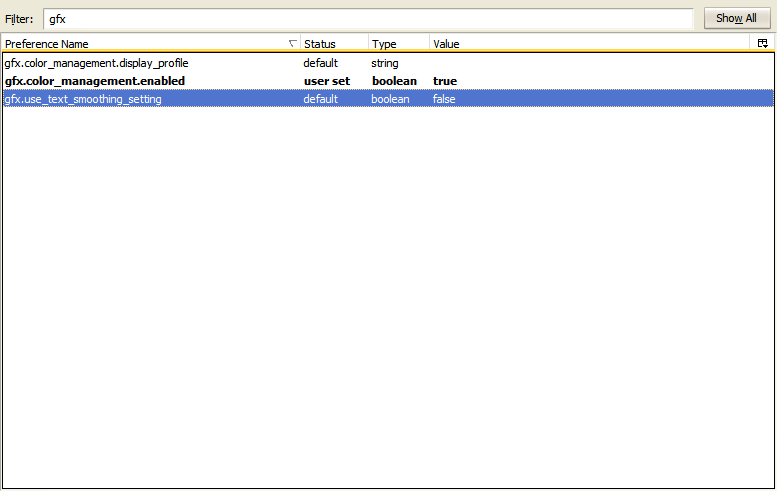 In relation to this post: Flickr: Firefox 3 is now Color Managed, here’s the post-change screenshot. 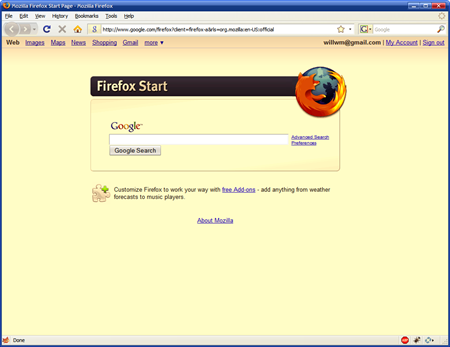 In relation to this post: Flickr: Firefox 3 is now Color Managed, here’s the pre-change screenshot. This little experiment was inspired by a photo posted from _Neverletmego_, in which she highlighted the differences in color space between Firefox and Safari on the Macintosh. I was inclined to carry out a similar experiment with three Windows browsers, Safari, Internet Explorer 7, and Firefox. Not surprisingly, Safari has richer and more saturated color (same as on the Mac).